Clarke is a reactionary wing nut, and his characterization of Obama as the “cop-hater-in-chief” never had much purchase outside the right-wing echo chamber. But plenty of commentators from across the ideological spectrum accepted the premise that Americans’ antipathy for police was on the rise. Amid a wave of caught-on-tape police killings of African-Americans — and ostensibly retaliatory murders of randomly selected cops — debate centered on who was responsible for the growing acrimony between civilians and police, not on whether that acrimony existed. But while liberals and conservatives debated the existence of the “Ferguson effect” and systemic racism, the American public’s respect for those sworn to serve and protect them was soaring to near record heights. Or so a new Gallup poll seems to suggest. In 2015, 64 percent of Americans told Gallup they had a “great deal of respect” for the police. In 2016, that figure jumped to 76 percent, one percentage point lower than the all-time high, set in 1967. Crucially, this increase in respect for cops was actually highest among nonwhites, spiking 14 points in one year to 67 percent. Among white Americans, those figures were 12 and 80 percent. 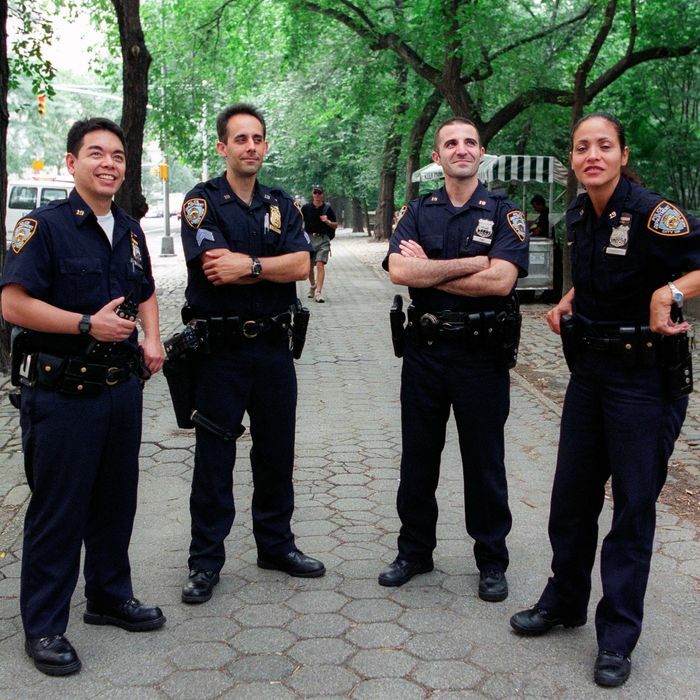 The single largest jump in esteem for the police — among the demographics highlighted by Gallup — came among liberals, with 71 percent of left-leaning Americans expressing great respect for our men and women in blue, up from 50 percent in 2015. So: What, precisely, should we take away from these results? For one thing, Sheriff’s Clarke’s analysis appears to have been off by 180 degrees — it seems that President Obama’s veneration of American police, in the wake of July’s shootings, generated a wave of pro-police sentiment among the president’s supporters. For another, the poll suggests that advocates for police reform have little to gain in framing their call for change in language derisive of police officers in general. In 2016, only 7 percent of Americans said they had “hardly any” respect for the police. That said, it would be easy to overinterpret the significance of these results. While nonwhite voters’ self-professed “respect” for the police surged in 2016, their “confidence” in police remained steady, at a dismal 39 percent. One reason for that discrepancy might be that the latter survey was taken in early June, before the killings of police officers in Dallas and Baton Rouge. Nonetheless, it seems likely that these high-profile murders did more to stigmatize expressions of disrespect for police, than they did to heighten nonwhite Americans’ confidence in those sworn to protect them. And of course, nonwhites’ limited confidence in law enforcement is not distributed evenly between Asian-Americans in the suburbs of San Francisco and African-Americans in west Baltimore. Police still face a crisis of legitimacy in many communities that suffer from high rates of violent crime and pervasive discrimination in their interactions with law enforcement. Which is to say, the more things change, the more Sheriff Clarke stays wrong.